Many gamers prefer games to be downloaded to their computer. This is not surprising because the downloadable games are often more perfect and have a beautiful graphics. Besides, you do not always have an opportunity to play online because there may be some problems with the internet connection and its speed, which limits the use of browser-based games. 13games.ru/ offers its visitors several games available for free download. For the fans of action games we offer to try “Franklin: Bank Alone”, which will also need logical thinking to solve various puzzles. 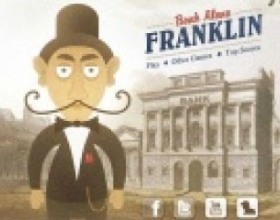 The protagonist of the game is Mr. Franklin, the famous banker. One day he leaves early from his work and sees that the inner rooms of the bank are full of thieves and stolen money fall out of their bags. The player's task is to catch the thieves in order to return all the stolen money and put them in the safe place. For those gamers who prefer the arcades, our site offers two versions of the” Hamster”. 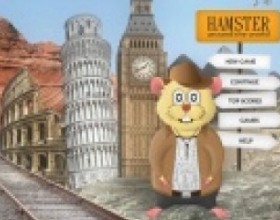 In “Hamster: Rund um die Welt” the Hamster travels around the world and discovers new countries. You must help him do this. To go through all the levels of the game, you need to run away from enemies. Collect and use power-ups that significantly simplify the game proceeding. 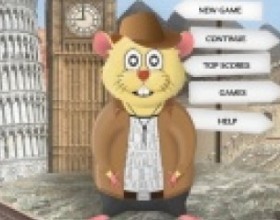 To continue Hamster’s journeys a game “Hamster: Around the World” was created, in which additional levels, new cities and improved bonuses appeared. For example, an anchor that keeps the Hamster on the first line, a nut that adds speed and marijuana that slows the opponents moves, a heart adding life, cherry giving extra points, and a mushroom that stops the enemies. In both versions the main character is controlles with the keyboard which is very convenient. A Winter Olympics 2010 will appeal to the fans of simulators and sport games. Always wanted to participate in the Olympics? 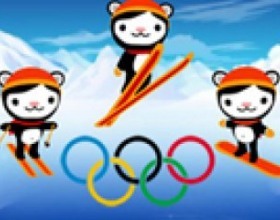 We give you the opportunity to visit the Olympic Winter Games 2010 with Miga, the bear. You need to take part in several types of competitions. In skiing you need to touch quickly all the flags and in ski jumping - to get as much speed as possible keeping balance and standing successfully on the ground. And in the snowboard racing bear should cover the distance as quickly as possible, avoiding trees and rocks simultaneously. All these games areso funny and they have a beautiful graphics. They will surely take you into the virtual world and provide with a great portion of entertainment.